The Neapolitan Tote is perfect for to make during the Summer. Carry it everywhere you go, whether it’s to the beach, picnic, movies, a day trip, ect. it’ll keep your essentials all in one place. It’s also a great way to use up your scrap yarn. Enjoy! Thank you for testing The Neapolitan Tote. I had so much fun crocheting up this bag with you. If you are new to the game you can purchase the completed Neapolitan Tote PDF Pattern on Ravelry. Thank you so much for following American Crochet and Mistie Bush Designs! 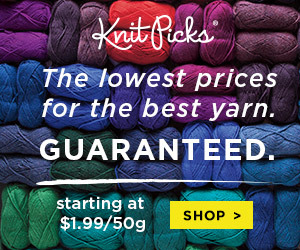 You will need roughly 150 yards per color. To make this tote is completely optional. This is only a suggestion and you may use any yarn and hook. MY COLORS THAT ARE USED IN THE DESIGN! Easy to Intermediate – stitches will range from beginner to slightly more advanced. You can set your own pace and work at your convenience! Fun sections with a variety of stitches to make a tote!